IS Avilius next big thing to come out of Europe from Godolphin? It seems like each year the powerhouse stable sends an import to Australia to dominate. Think of Hartnell, Magic Hurricane and Contributer. Weeks after trotting in over a mile at Randwick, Avilius and Glyn Schofield made it back-to-back Australian wins in the Group 3 Premier's Cup (1900m) on Saturday and trainer James Cummings loved his effort. "He could be (Godolphin's next European star) but he's down in the weights and isn't at weight-for-age level yet," Cummings said. "Magic Hurricane won this race en route to The Metropolitan, but he (Avilius) has still got to prove that he stays. "He certainly goes around with a lovely relaxed nature and the step up to 1900m really impressed me today. His acceleration was great but I think he showed real stamina, too." The punter who had $11,250 on Avilius would have had a moment of worry as Schofield searched for a run from midfield. Cummings admitted Avilius was "in a sticky spot" for a moment, but once Schofield got him into clear running in the straight he gobbled up I Am Serious to win by a half-length, with Testashadow third. "He's a very relaxed individual and in all his races he's been competitive in he's been coming from a position well off them and chimed in," Schofield said. "He's a lovely horse to ride and he gives you that much confidence. "We don't want to reinvent the wheel with him, he's got a nice turn of speed, he's a relaxed character and there's no point riding him upside down and getting him confused." Cummings will likely send Avilius to the Newcastle Cup or Kingston Town Stakes. "He could run in both (The Metropolitan and Caulfield Cup) but I wouldn't get carried away saying we'll definitely be going there," he said. 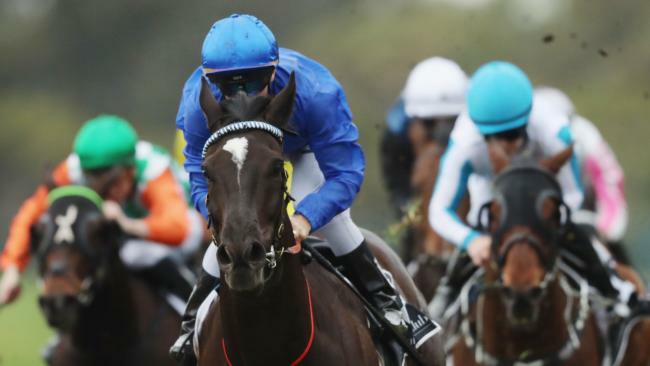 Avilius is a $17 third favourite for the Caulfield Cup and a $4 favourite for The Metropolitan (2400m) on September 29 at Randwick. Kerrin McEvoy, on I Am Serious, offered no excuses but said his mare shouldn't be written off. "It was a good run but we were obviously beaten by a smart one. She acquitted herself well though and she's in for a good preparation," he said.